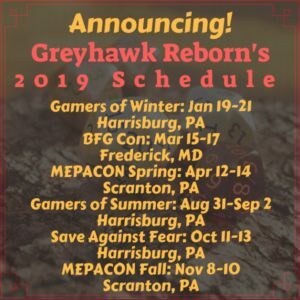 Greyhawk Reborn is excited to announce we are planning to attend Origins 2019 in Columbus, Ohio on June 12-16, 2019! We are beginning the planning process, and would like our player’s feedback to allow us to better plan our schedule and offerings! 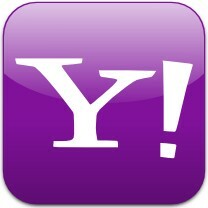 Players: Please take a few moments, go to the following link. and fill out our short survey regarding GHR at Origins! It will only take a few moments! 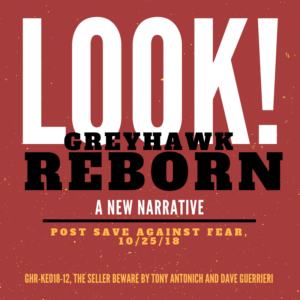 GMs/Authors: Please complete this survey. We will complete the survey in about 2 weeks, so please fill it out soon! Casey O’Donovan and Marc Berlove are spearheading our workforce in planning and implementing Origins. Please welcome Casey and Marc and give them your cooperation. 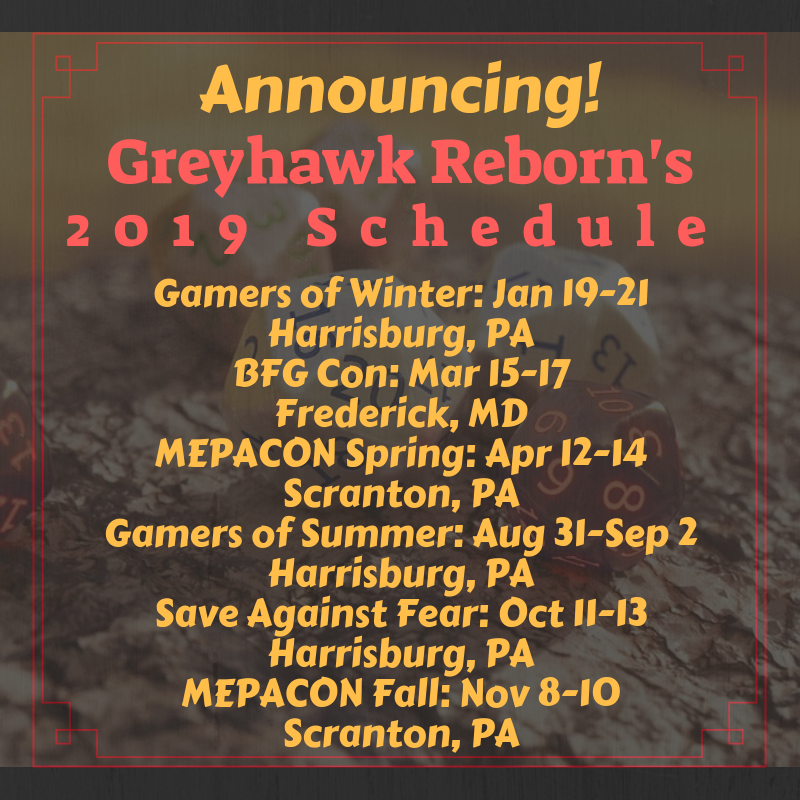 We have a lot of great things planned for GHR and more in 2019, and we are excited to share them with you! 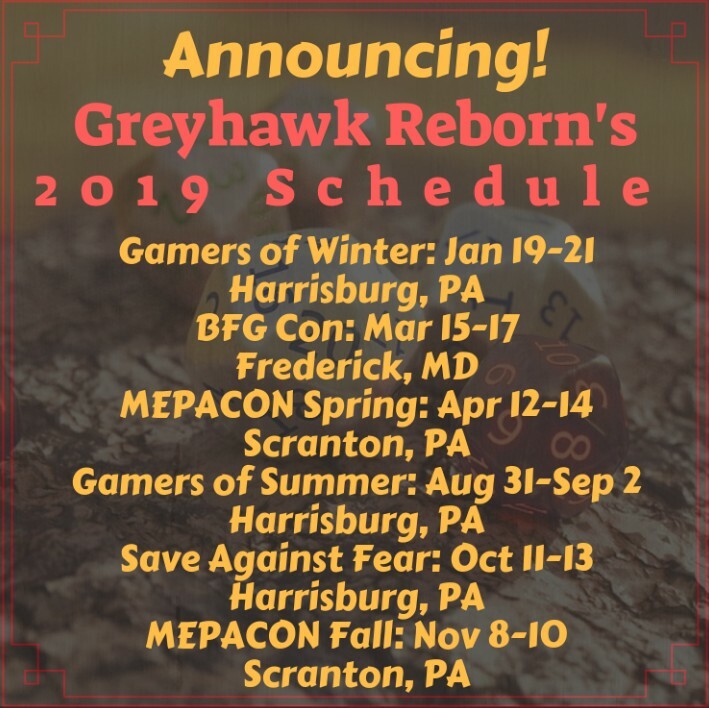 It was another wonderful weekend of Greyhawk Reborn goodness at MEPACON in Scranton, PA this past weekend! 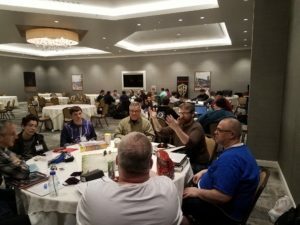 We loved GM’ing and playing with all our familiar faces, and loved meeting and gaming with our new players! 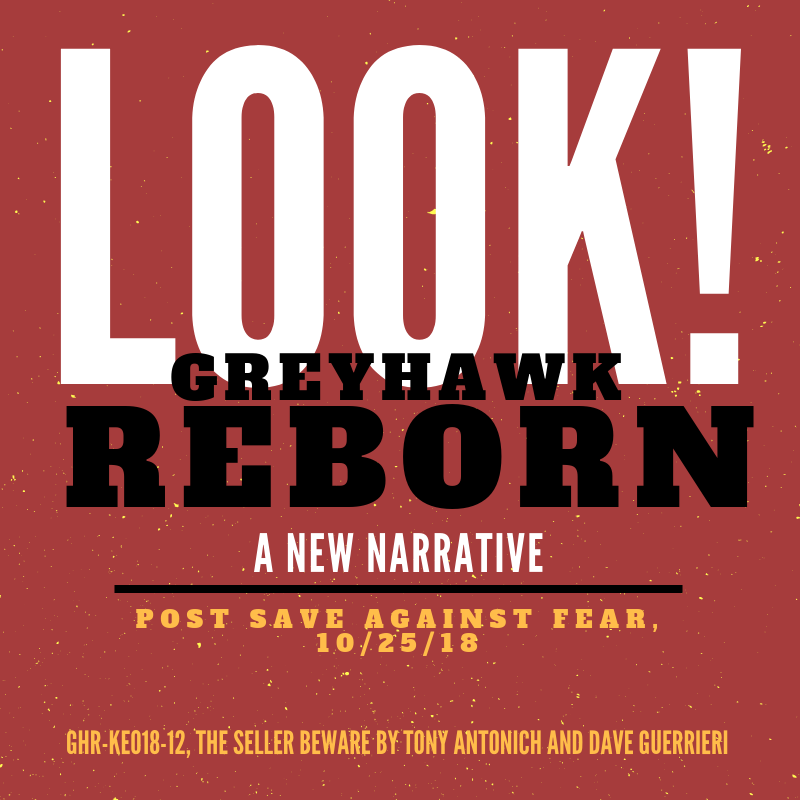 We ended up running 36 tables of Greyhawk Reborn, including 6 tables of Twilight Falls, our MEPACON Fall Interactive Special Event. 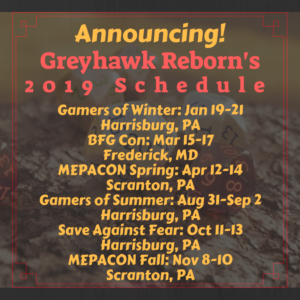 We’re scheduling play at many great events in 2019 and we’re interested in finding more venues to spread the Greyhawk love! 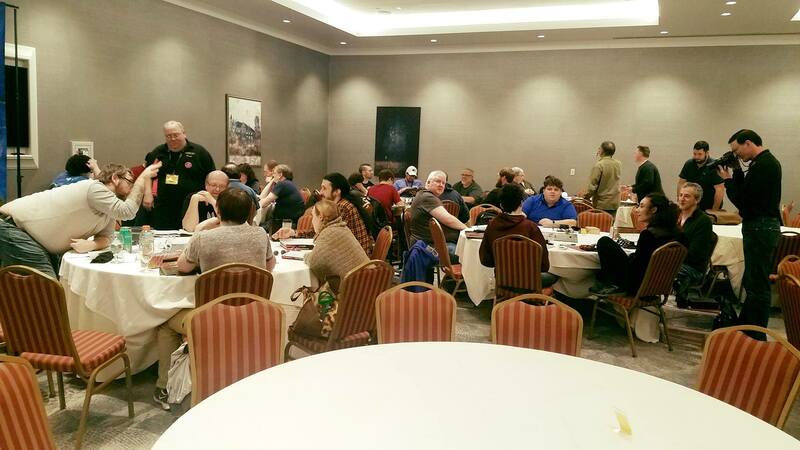 Mark your calendars and keep your eye out for more potential conventions and gamedays! We can’t wait to share great stories with you around the tables!